I did not even wear a coat and tie to my own wedding, but I had to wear one last week when Craig and I traveled to Washington DC as part of a New England Farmers Union delegation. 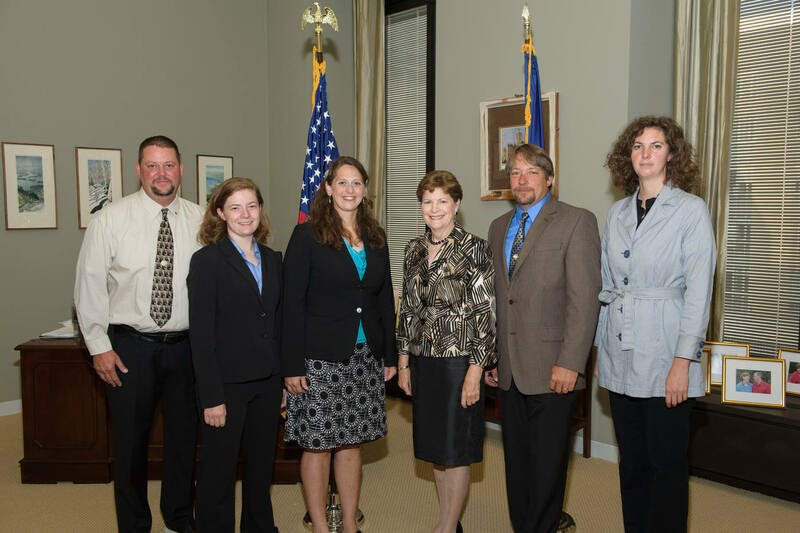 Along with other members of the National Farmers Union, we were there to lobby our region’s representatives in the House and the Senate, to work on getting a new Farm Bill passed and not to just extend the old one for another year. Extending the old Farm Bill would jeopardize some of the programs that support our farmers the most in New England. The Beginning Farmer and Rancher Program, the Farmers Market Promotion Program and the National Organic Certification Cost-Share Program would fall by the wayside due to lack of funding as a result of their expired baselines. We also brought attention to some of the sticking points in the FDA’s recommended Food Safety Modernization Act that would have a catastrophic financial impact on small farmers all over New England. On Tuesday, NFU presented Rep. Annie Kuster (NH) with a Golden Triangle Award, the organization’s highest legislative honor. This annual award is presented to members of Congress who have demonstrated leadership and who support policies that benefit America’s family farmers, ranchers, fishermen and rural communities. Finally, we briefed both House and Senate New England representatives about the increased livestock and aquaculture production in our region, and we highlighted some of challenges we are facing due to lack of infrastructure, lack of skills and training. It was a busy week and a great opportunity to learn more about the ins and outs of policy making, but I was really happy to get back to the farm and “slip into something more comfortable”! Thanks for representing NE farmers and helping to explain the problems extending the current farm bill will bring to the folks in WAshington- hope they will listen!